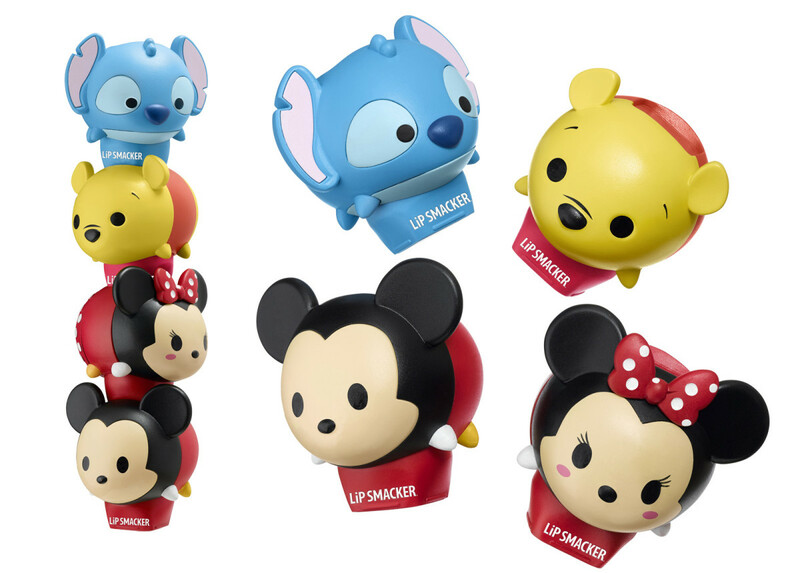 I don&apos;t really have a lot to say about the new crop of Disney Lip Smacker Tsum Tsum Balms, mostly because I can&apos;t get away fast enough from the potent, super-sweet candy scent of the balms themselves. (Ingredient list below.) But then, they&apos;re not meant for me. In others who aren&apos;t me, these adorable characters will – and already do – spark joy. Meet Thumper, Eyore, Dale and Chip (whoops, should have paid attention to the order when I took the above shot). Obviously the packaging is way cute, aimed at a young audience (right Ally? *grin*). My niece, Lauren, age 11.5, squealed as soon as she saw them, anxious to get them into her little #grabbyhands. And well, they&apos;re kinda fun to photograph. 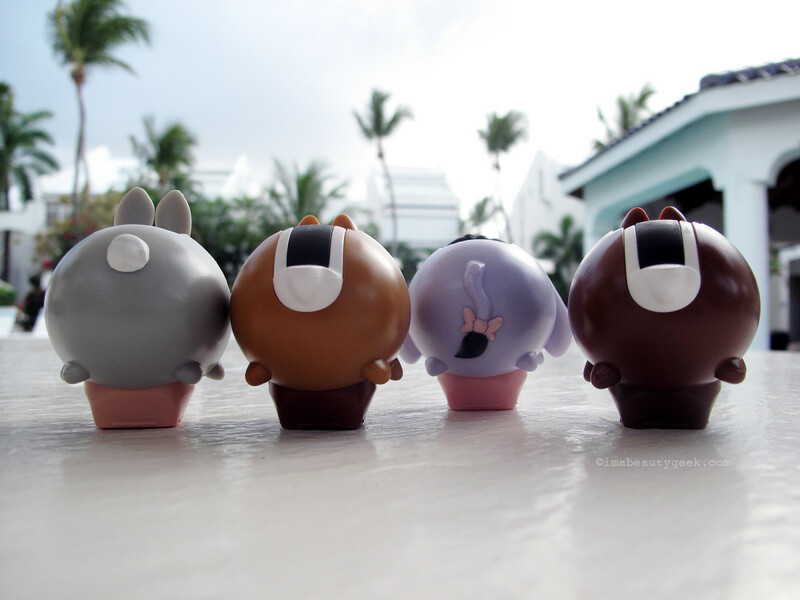 Lip Smacker Tsum Tsum Balms: Eyore has the cutest tail. 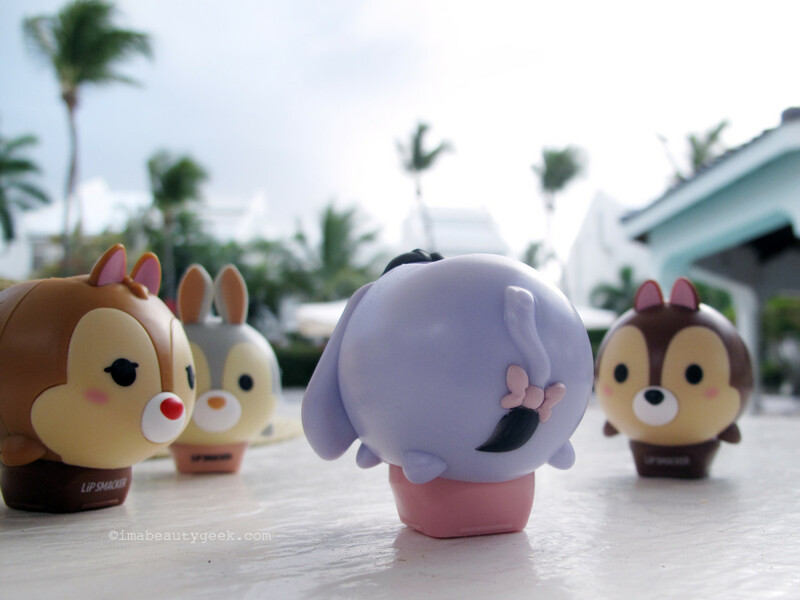 Lip Smacker Tsum Tsum Balms: Okay, Thumper&apos;s bunny tail is kinda cute too. 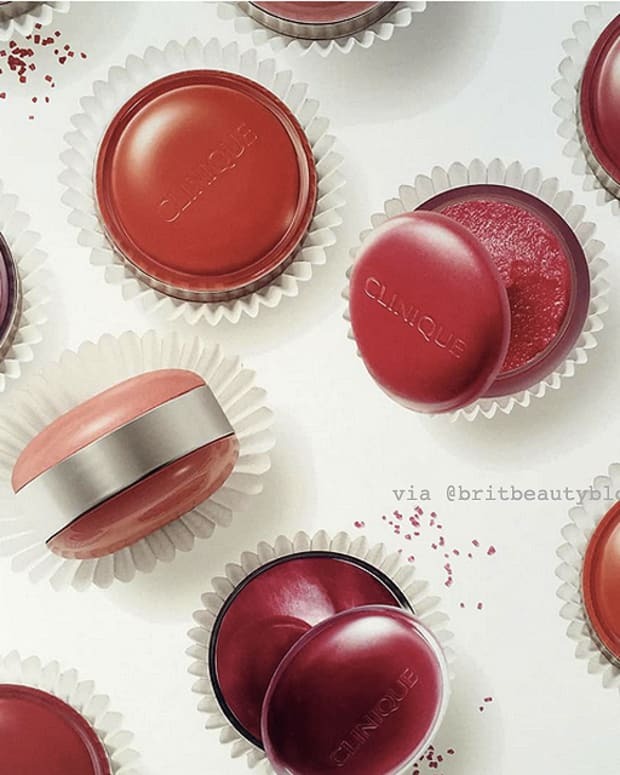 The little egg-shaped balm makes them something to think about if you give your kids Easter-related treats. 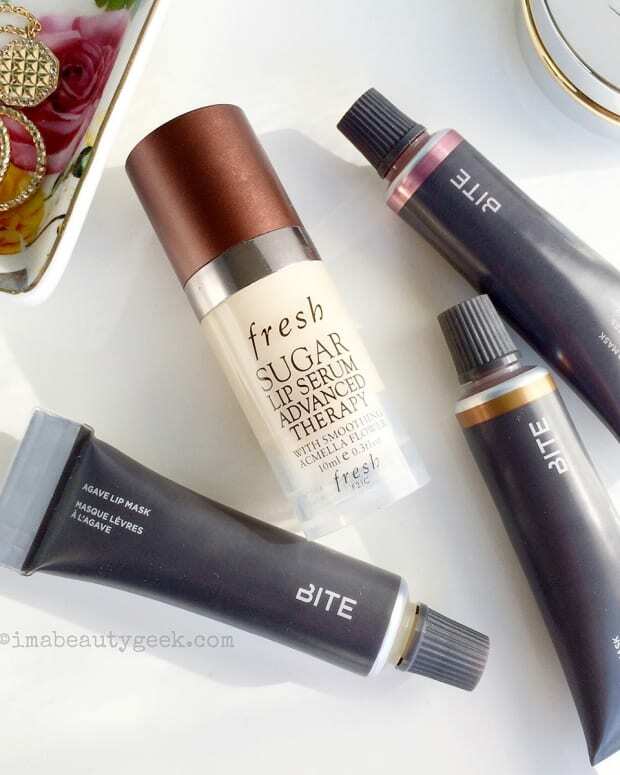 In fact, these Lip Smacker Tsum Tsum balms ($5.95 CAD at select Shoppers Drug Marts, Loblaws and Real Canadian Superstores and from $6.98 USD at amazon.com) are only available from Canadian retailers until Easter. 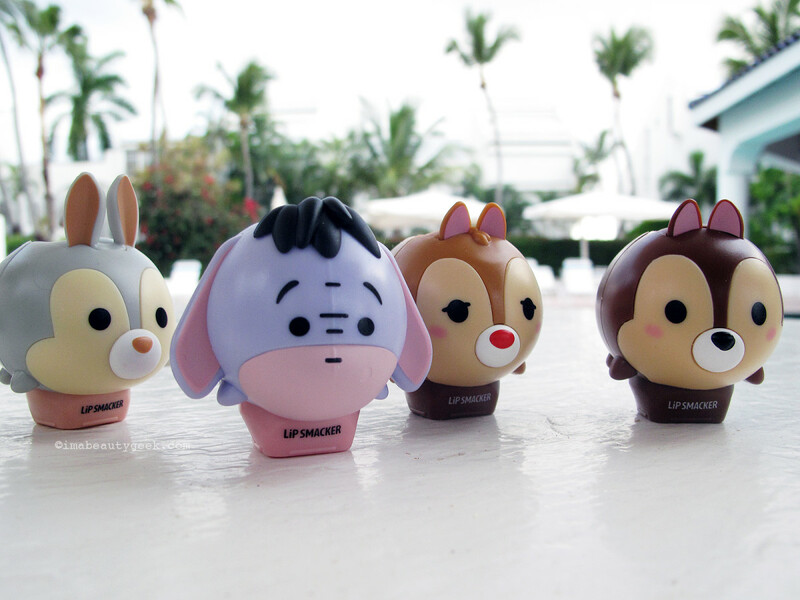 These Lip Smacker Tsum Tsum balm flavours are as follows: Thumper&apos;s is Caramel Kisses; Eyore&apos;s is Cheer Up Buttercup; Chip&apos;s is Chocolate Chip; Dale&apos;s is Kooky Oatmeal Cookie. 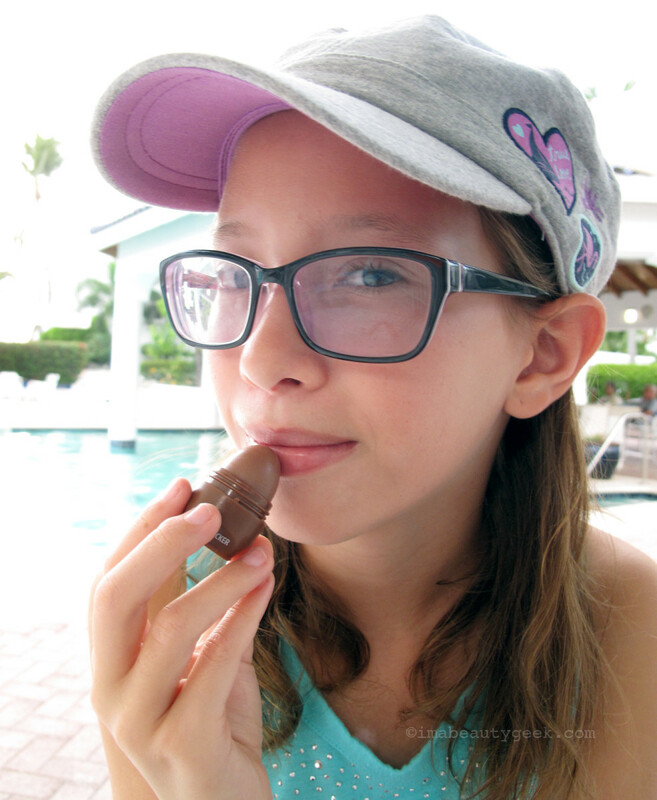 Lauren loves the smooth, emollient texture – she says it feels really nice on the lips – but even she isn&apos;t quite a fan of all four flavours; her preference is Chip&apos;s chocolate chip. Tsum Tsum is Japanese for "Stack Stack," by the way. 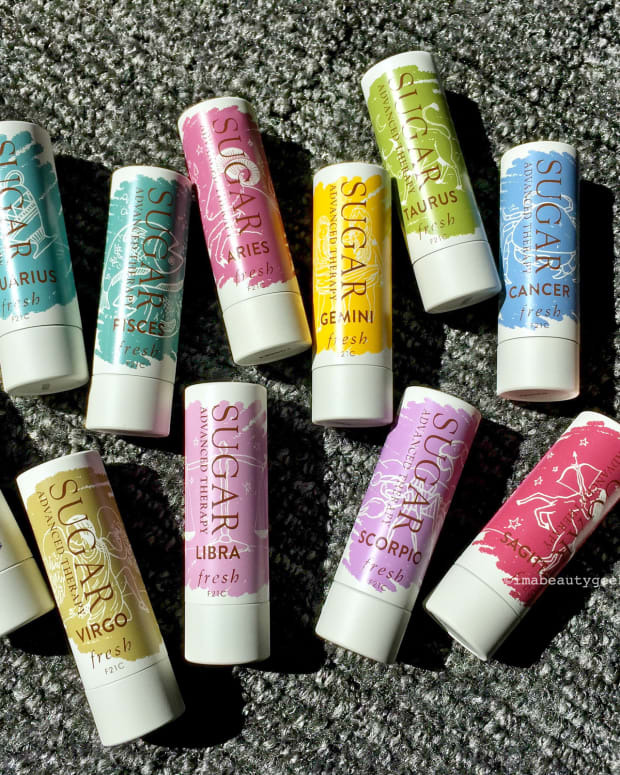 Its origins are a Disney game app, expanded into craze-inspiring stackable stuffed toys as well as these balms. Lip Smacker Tsum Tsum ingredients: Ricinus Communis (Castor) Seed Oil, Cetyl Acetate, Beeswax/Cire D&apos;Abeille, Euphorbia Cerifera (Candelilla) Wax/Cire de Candelilla, Flavor/Aroma, Polybutene, Paraffin, Sesamum Indicum (Sesame) Seed Oil, Copernicia Cerifera (Carnauba) Wax/Cire de Carnauba, Hydrogenated Soybean Oil, Mineral Oil/Huile Minérale, Acetylated Lanolin Alcohol, Microcrystalline Wax/Cire Microcristalline, Triticum Vulgare (Wheat) Germ Oil, Stearic Acid, Stevia Rebaudiana Leaf/Stem Extract, Sucralose, Propylene Glycol, Propyl Gallate, Citric Acid, Phenoxyethanol, Tocopherol. May Contain/Peut Contenir: Blue 1 Lake (CI 42090), Red 6 Lake (CI 15850), Red 7 Lake (CI 15850), Titanium Dioxide (CI 77891), Yellow 5 Lake (CI 19140).